Posted March 18th, 2011 by Oliver & filed under MailBigFile News. We are looking for advertisers for our free service. Interested? The space costs £300 a month. 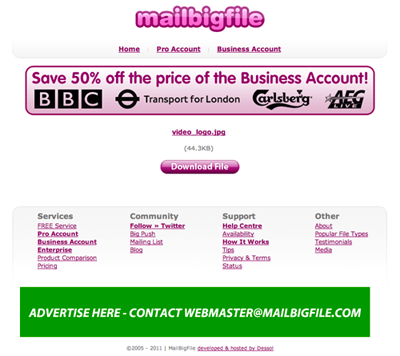 If you’re interested email us on advertise@mailbigfile.com and we will get back to you.